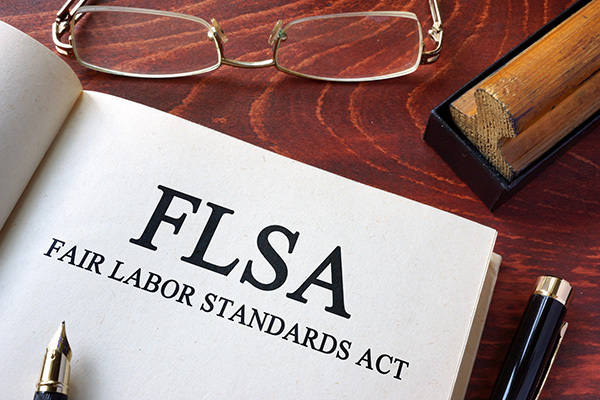 On March 7, 2019, the U.S. Department of Labor (the “DOL”) issued a Notice of Proposed Rulemaking, proposing to raise the minimum salary level for employees to be exempt from overtime requirements under the Fair Labor Standards Act (“FLSA”). Under current FLSA regulations, employees are entitled to overtime for any hours they work over 40 in a workweek unless they qualify for an exemption based on their job duties and are paid a minimum annual salary of at least $23,660 (or $455 per week). While the proposed rule leaves the job duty requirements for the FLSA exemptions unchanged, it proposes to raise the minimum annual salary to $35,308 (or $679 per week) for employees classified as exempt from the FLSA under the executive, administrative, professional, outside sales, and computer employee exemptions. The DOL estimates that this change would make an additional 1.1 million employees eligible for overtime pay. The proposed rule rescinds a previous rule issued in May 2016 by the DOL under the Obama administration, which proposed to raise the FLSA minimum annual salary to $47,476 with automatic increases of the minimum salary threshold every three years. A Texas federal court enjoined that rule, and the U.S. Court of Appeals for the Fifth Circuit ultimately dismissed the DOL’s appeal of that order, at the DOL’s request, in September 2017. Although the new proposed rule establishes a more modest threshold than the previous administration’s rule, the proposed minimum salary level is nearly 50% more than the current salary level of $23,660. The proposed rule will allow up to 10% of the new minimum salary level to be satisfied using nondiscretionary compensation, such as bonuses and commissions, so long as those amounts are paid at least annually. If adopted, the proposed rule will require the DOL to propose potential increases to the salary threshold every four years through a notice and comment process. The proposed rule also contemplates raising the minimum annual salary under the highly-compensated workers exemption from $100,000 to $147,414. For now, the proposed changes remain exactly that – proposed. Employers do not need to start reclassifying employees or raising salaries just yet. The proposal will undergo a 60‑day notice and comment period, during which the DOL will allow interested parties to submit comments. The DOL anticipates the final rule becoming effective in January 2020. The rule will likely be subject to legal challenges by both worker advocate and business industry groups. Whether those challenges will be successful or the DOL will make substantive changes to the final version of the rule remains to be seen. In the meantime, employers can take practical steps to prepare for the potential changes. Because it can take time to understand the full financial and administrative impact of these changes, companies should consider whether it makes sense to start assessing exempt employees who are below the proposed salary threshold. Employers have several options for those employees, including reclassifying their positions as nonexempt, raising their salaries to be in line with the new minimum salary threshold, or capping the hours those employees work each week to avoid accruing overtime. The proposed rule may also provide an opportunity for employers who have not recently audited their exempt workforce to confirm that all exempt positions, especially those paying close to the current or proposed minimum annual salary threshold, are correctly classified. Such an audit will not only help employers identify and correct potential misclassification issues, but it will also allow the company to determine which positions might need to be adjusted based on the proposed rule. Although the proposed rule will likely impact many U.S. employers, companies must continue to review their compliance with state wage and hour exemption requirements, which can be more stringent than the FLSA. For example, California employees must earn a minimum annual salary of $49,920 ($45,760 for employers with 25 or fewer employees) to be properly classified as exempt from the California overtime laws. Morrison & Foerster LLP will keep clients updated on developments with the proposed rule. Please reach out to our Employment & Labor Group with questions.